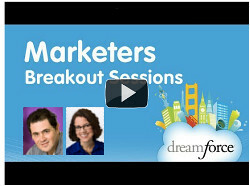 I wanted to share with you this presentation, recorded live at Dreamforce 2011, in which Jon Miller, VP Marketing and Co-Founder of Marketo, and Ann Handley, Chief Content Officer of MarketingProfs, present 10 Strategies for Content Marketing, Events and Marketing Automation Success. 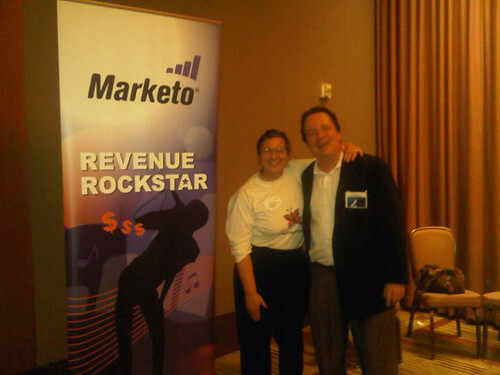 Here I am with Mr. Pickett at the Revenue Rockstar event last spring. I learned a great deal, but most importantly that the sales funnel is much more complex than most people realize, and that list segmentation is key for effective sales results. Jon, author of the Modern B2B Marketing blog, refers to real-life case studies and Marketo benchmarks to show how to demonstrably improve marketing campaign results and revenue performance. He also covers how to use marketing automation effectively to optimize marketing efficacy, and how to measure results to prove the value of marketing programs. So enjoy, and please post in the comments your take on this, or your Marketo experience if you've had one, as well as any content marketing tips!